FARMtastic, is an agriculture experiential learning activity hosted by the Mississippi State University Extension Service. 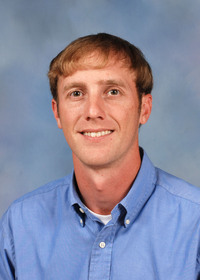 This unique educational program is designed to involve second, third and fourth grade students in hands on learning about the agricultural industry in Mississippi. FARMtastic will consist of: a walk-through exhibit featuring agricultural commodities (Barnyard Bonanza, Mighty Crops, Wonder Plants, Something Fishy, Enchanted Forest, FARM Toys, FARMvillage) - each focus area will include hands on activities, and additional educational resources will be provided for each teacher. You and your students will be going through FARMtastic as a class. It will take 1.5 hours for each class to go throughthe exhibit. For more information on the FARMtastic experience, please feel free to contact Julie White at 662-325-8195 or at j.white@msstate.edu.